Home / Brooklyn GOP / Brooklyn GOP Radio / Brooklyn YRs / Craig Eaton / Diana Sepulveda / Gene Berardelli / People's Republic of New York / Russell Gallo / EXCLUSIVE! Write-In William S. Davidson For Brooklyn Borough President! EXCLUSIVE! Write-In William S. Davidson For Brooklyn Borough President! 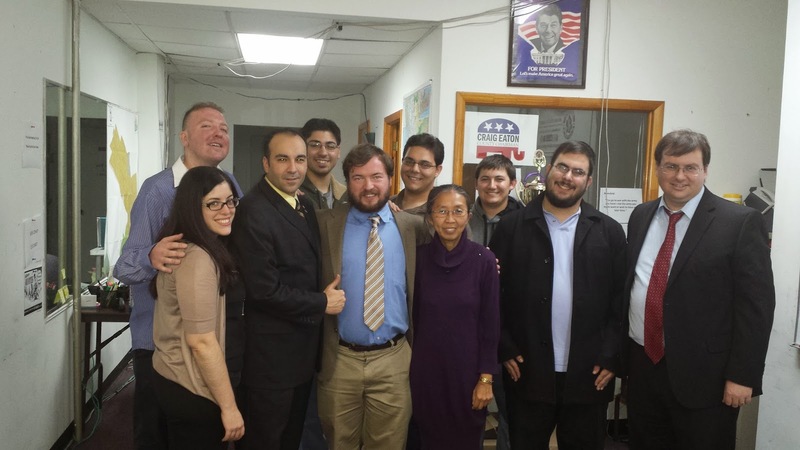 The crowd that welcomed the return of Brooklyn GOP Radio join co-host Russell Gallo in endorsing Republican State Committeman William S. Davidson's write-in candidacy for Brooklyn Borough President! The crowd welcoming the return of the radio show tonight (mostly YRs - no, really... actually young YRs unlike some other places) got in on a political rarity - an impromptu announcement of a last-minute candidacy! Fresh off of his appointment as Republican State Committeeman of the 50th Assembly District by Chairman Ed Cox, William S. Davidson (remember that name!) threw his hat into the arena by asking the assemblage to write his name in for Brooklyn Borough President. Fed up with rival candidates like embattled Democrat Sen. Eric Adams and Conservative.... um.... er.... whatever his name is, William S. Davidson has stepped up to provide an alternative choice. 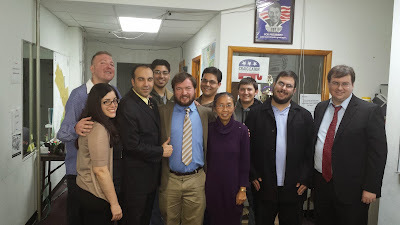 Davidson, who has had political leanings since a young boy, introduced himself to the Brooklyn GOP Radio audience with his witty repartee, knowledge of political issues of the day, support for legalizing the ghanja and his professed admiration for retired Congressman Ron Paul (which few held against him!) Check out his story at around the 25-minute mark of this week's show. Let's see the reach of the show! Write in William S. Davidson on November 5th and make the political world stand up and take notice. Soon, everyone will be asking "Who?"